All applicants are required to complete an Enrollment Application and provide a copy of a valid driver’s license. Students must be able to pass a drug screen if administered. Admission is open to high school graduates/GED (or those who complete an ability-to-benefit test). Applicants who satisfy these criteria are asked to sign an Enrollment Agreement. Please contact the School to discuss your qualifications and how this opportunity can serve you. A School staff member will interview applicants for admission through a personal interview or, for those who cannot visit the School in person, a telephone interview. Applicants are encouraged to visit the School. Staff members explain the CDL Pros training programs and graduation requirements, provide information about the professional trucking industry, job placement assistance and statistics, the costs of training and financing available, and provide a catalog and other information about the School. Staff members make every effort to provide a realistic understanding of the nature of the trucking industry so the applicants can make intelligent training and career choices in light of their aptitudes and interests. Students are expected to make a reasonable independent judgment as to whether trucking is right for them. Truck Driving School requirements are an important consideration when deciding to attend CDL training. The requirements below are some of the more common requirements a student will have to meet before attending their first CDL class. You must be Eighteen (18) years of age to drive intrastate or at least twenty-one (21) years old to be employed to drive interstate. Beyond the age of compulsory high school attendance as defined by each state. Possess a valid driver license at the time of enrollment and one (1) year of automobile driving experience (Must maintain a valid driver license during the CDL training period). Provide Social Security Card or Valid Picture ID. Drug free and agree to possibly be drug tested during CDL training. Ability to read, speak, and understand English language sufficiently to converse with general public, to understand highway traffic signs and signals, to respond to official inquiries and to make legible entries on reports and records. No language services are provided. Instruction is provided in English only. 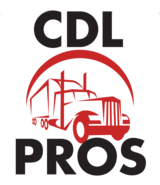 You must complete all of the pre-determined hours of CDL training. Achieve at least a 70% overall grade average. When a student does not meet specific standards for a phase of training, additional instruction maybe required and given. If additional time is required to achieve an approved level of performance, there will be no extra charge to the student. Amount of time spent on any field-training topic may vary among students. Upon graduation, you will receive a Certificate of Completion and assistance in obtaining your Commercial Driver License (CDL). 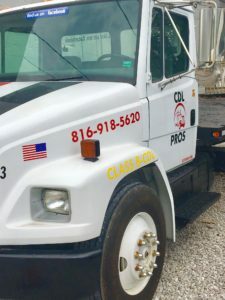 Attendance at each scheduled CDL class is required and recorded. Students are required to report to class on time. Absences will be recognized as valid in the event of student illness or death of an immediate family member. When an absence is authorized, the student will be entitled to make-up classes at no additional cost, although this does not remove the absence. All missed classes must be made up prior to graduation. It is the responsibility of the student to schedule make-up time with the Director of Training. Each unexcused absence will require the student to repeat the scheduled class related to the absence / tardiness. Students are required to notify the Director of Training when they know they will be absent or tardy.